Specially designed for deep-drawing and punching, these machines can handle the tough processing that can't be achieved by most equipment. High-precision design makes them safe and dependable. Push-button controls and logical oil circuit design makes our presses simple to operate and easy to maintain. With longer stroke and die cushion devices, stroke, length and pressure are easy to adjust and are suitable for complex manufacturing designs. The centralized lubrication system keeps sliding surfaces in excellent condition, reducing wear on all moving surfaces. 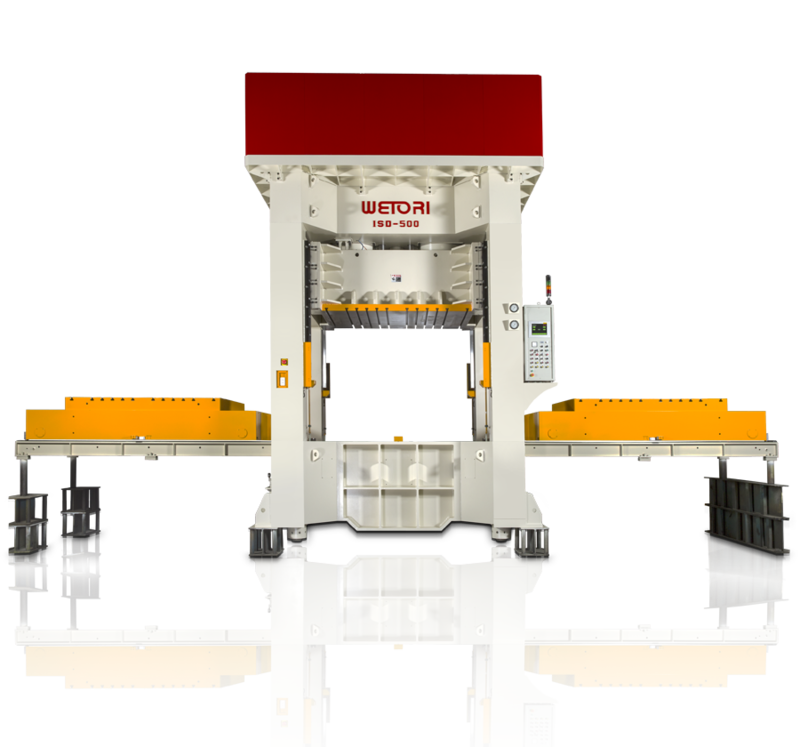 Our machines can be linked to a robotic or automated loading system to enable rapid and automatic: transfer, bolster, die change, and device clamping.